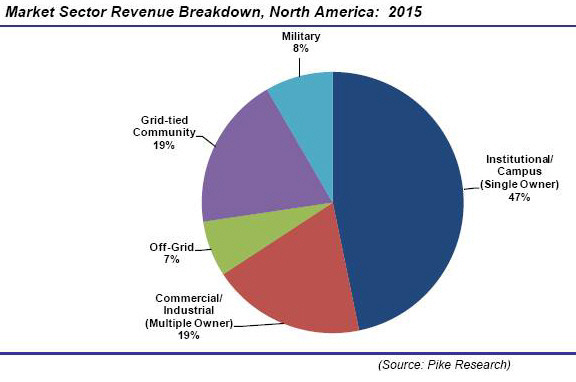 Pike Research predicts that the microgrid market could reach as high as 4.6 GW by 2016. 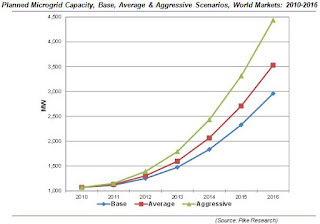 According to a May 2011 tracker report from Pike Research, more than 160 microgrid projects are currently active around the world, with power generation capacity totaling more than 1.2 GW. "Up to this point, the majority of microgrids have been pilot projects and/or research-related experiments," says senior analyst Peter Asmus. "This will not be the case for long, however. 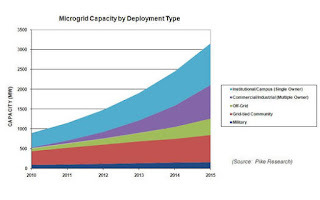 The year 2010 signaled a shift as some of the first commercial-scale microgrid projects reached significant milestones. With the expected adoption of the IEEE islanding standards in 2011, the shift from pilot validation projects to fully commercial projects will only accelerate." Technological improvements in gas turbines have changed the economics of power production. It isn’t necessary anymore to build a 1,000- megawatt generating plant to exploit economies of scale. Combined-cycle gas turbines reach maximum efficiency at 400 megawatts, while aero-derivative gas turbines can be efficient at scales as small as 10 megawatts. 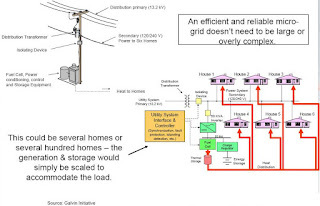 Manage Distributed Energy Resources - See my ;DER Blog Article Microgrids could help utilities use distributed power generation systems like solar panels on customers’ rooftops in a far more effective way. Application of individual distributed generators can cause as many problems as it may solve. 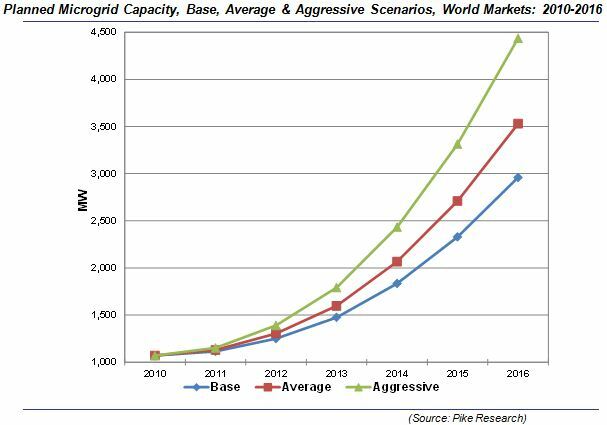 A better way to realize the emerging potential of distributed generation is to take a system approach which views generation and associated loads as a subsystem or a “microgrid”. 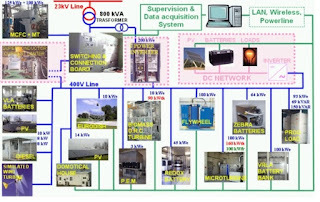 CERTS - DOE's Consortium for Electric Reliability Technology Solutions ; ;- Program Office run by Lawrence Berkeley Labs- Formed in 1999 to research, develop, and disseminate new methods, tools, and technologies to protect and enhance the reliability of the U.S. electric power system and efficiency of competitive electricity markets. 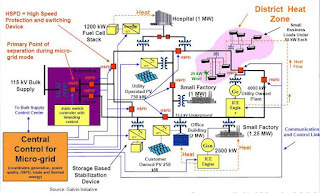 ;The objective of the CERTS Microgrid Test Bed Demonstration with American Electric Power was to enhance the ease of integrating small energy sources into a microgrid. Report of the Defense Science Board Task Force on DoD Energy Strategy, "More Fight - Less Fuel"
Thanks for this. Great Summary! This was a great piece of information, do you know if there are any available studies/resources which can help for FDD and Analytics tool selection. I am looking for comparison studies on the tools that you have listed.